Partly cloudy skies this evening will become overcast overnight. Low 37F. Winds SW at 5 to 10 mph.. Partly cloudy skies this evening will become overcast overnight. Low 37F. Winds SW at 5 to 10 mph. Erin Leber with Little Colton. Erin and Eric Leber are Big Couple of the Year. 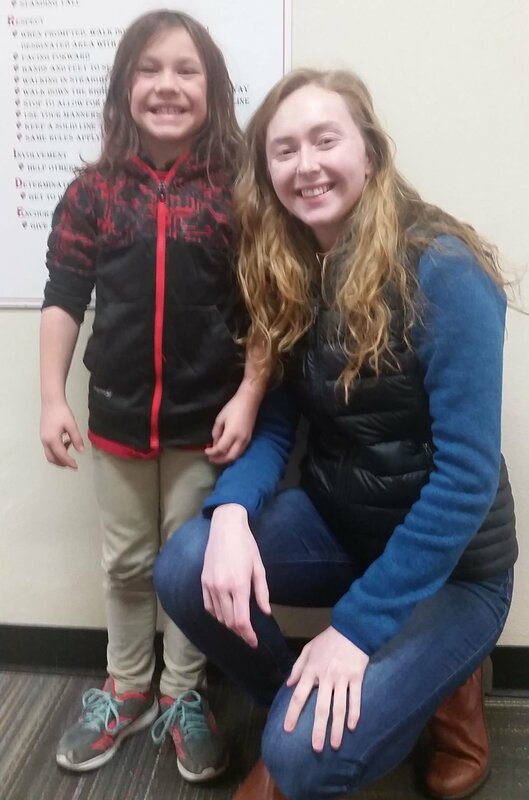 College Big Sister of the Year Abby Jones, right, with her Little, Clara. High School Big Brother of the Year Clint Connors, left, and Little Brother Hunter. Big Sister of the Year Emily Caponi, right, with Little Sister Laney. Community Big Sister June Tangaro, left, with Little Joselyn. Big Brother of the Year Noah Thatcher, left, with Little brother Thomas. Montana Big Brother of 2019 Mike Henrich, left, with Little brother TJ. Big Brothers Big Sisters of Butte honored its Community and School Based volunteers at its Annual Appreciation Dinner on Thursday in the Thornton Ballroom. Big Brothers Big Sisters holds this event annually to honor all the volunteers in their program. In 2018, Big Brothers Big Sisters served over 142 children and had that many volunteer mentors. Big Brothers Big Sisters has a volunteer board of directors of 16 members that also oversee and serve the organization. Awards were presented to the 2019 community-based Big Brother, Big Sister and Big Couple, as well as the school-based adult mentor, high school mentor and college mentor. Big Brothers Big Sisters also presents an annual award to the Board Member of the Year. This year, BBBS of Butte had the privilege of honoring the State of Montana Big Brother of the Year. BBBS agencies across the state submitted nominees for Big Brothers and Big Sisters and one of our own Big Brothers was chosen as the State Big Brother of the Year. 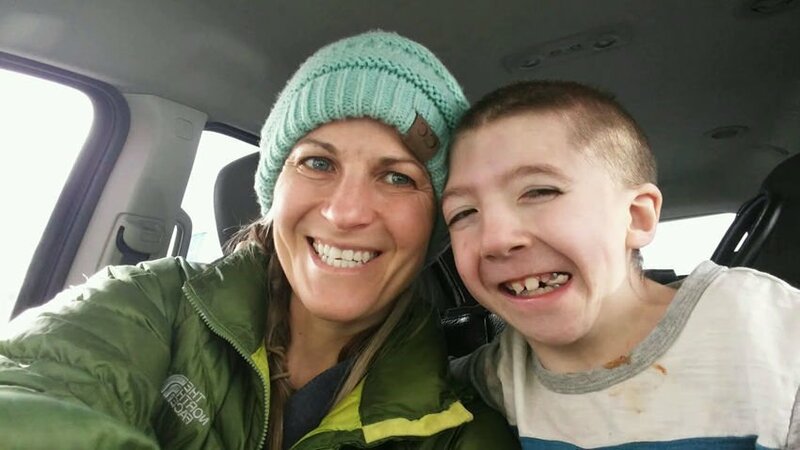 In introducing the State of Montana Big Brother of 2019, Mike Henrich, Mandi Kambic, executive director of Big Brothers Big Sisters Butte said, "Over the years I have been working with Mike and TJ, I could see the roles of Big and Little vanish and the appearance of a family bond appear. TJ, now in eighth grade speaks of Mike in a way of showing he has had a life-changing impact by having Mike as a Big Brother. "With the new BBBS motto standing for defenders of potential, Mike has been an active defender in a number of ways in being a mentor himself over the past decades, donating his time and resources to numerous benefits, and generously setting up the Henrich Scholarship for mentors in the program to go towards their college careers, Mike is an incredible example of what empowering potential represents and for that he has represented the agency of the National Big of the Year Nomination." Big Sister of the Year Emily Caponi wears her heart on her sleeve. Through her busy schedule of work and school, making time for her Little always remains at the top of her list. With her Little's mom constantly sharing praises of how grateful she is to have her in their lives, I have felt the same about her being in the Community Based Program. She is a motivated and caring role model, a prompt communicator and understands the importance of valuable mentorship. Big Brother of the Year Noah Thatcher has been proactive in his match by relaying the importance of doing your best in school. He has his Little's best interests at heart when it comes to his success. Over the course of their match he has been a consistent part of his little's life and for that, his mother is very grateful. From their time at the Montana Tech basketball games to moments of buckling down and working on homework, this match has created a well rounded bond for one another. Big Couple of the Year Erin and Eric Leber have been cherishing their time with their Little for almost 4 years now. Although they maintain a busy schedule with their young children, who also enjoy having a little around, making the time to spend with him is always one of their priorities. Their little is always excited to see them when they pull up in front of his home because of the fun he knows he will have. Clint has been a wonderful big and asset to the BBBS program. He started out his junior year with a little at Margaret Leary and formed a fun and great friendship with his Little brother. When his Little brother moved to Billings at the beginning of the school year, he was hopeful to be re-matched with a new little. Clint was then matched to his now Little brother Hunter. Together they have formed a great friendship and Clint has been a very positive influence in Hunters life. They both enjoy shooting hoops, playing board games and working on Hunter's school work. Hunter shared that Clint has helped him have fun in school and to also stand up for himself. Hunters teacher shared that it has been a great match and very beneficial for Hunter. Abby has been matched with Clara since November 2016. Abby is currently a college student and will be receiving her degree in nursing. Abby has been a consistent and positive influence in Clara's life. They have formed a true big sister little sister relationship. They enjoy playing games, eating lunch together, going outside and doing schoolwork. Abby has helped Clara with her schoolwork, listening skills and has been a huge support for her when she needed it the most. Clara shared that she loves her big sister and her face lights up when she talks about her. Clara's mom and teacher have appreciated the time and match throughout the years. June began her match with her Little Jocelyn, a then-kindergartner, at Margaret Leary Elementary in October 2011 and it was a special bond right from the beginning. They started meeting every week for one hour and played games, practiced math and even exercised together. Their relationship got stronger each day. June has been with Jocelyn since then and is still dedicated to spend time with her. June states "that she has been blessed to get to know and help Jocelyn throughout the years." She plans to continue to support Jocelyn as she grows up, and that will only lead to a more amazing success story.